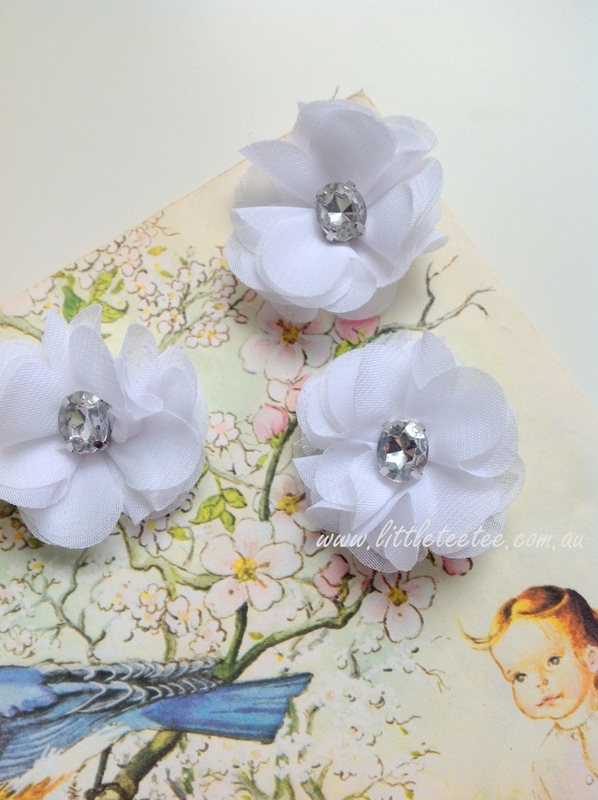 Stunning in its simplicity, this fabric flower will suit so many creations. 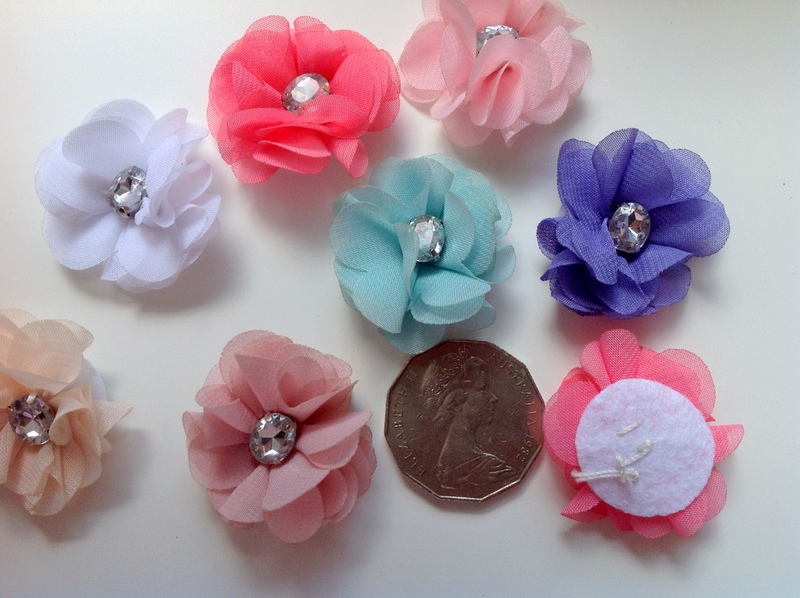 With its felt back you can easily glue it to one of our brooch/clip trays or onto your scrapbooking project. Or hand sew under the petals (on the felt base) to securely attach it to other fabric. The centre of this flower consists of a single, oval gem. The soft chiffon has been heat treated to reduce the possibility of frayed edges. These flowers are hand sewn so are not always perfect in the gem or petal placement. Colours: PURE WHITE (please note these are being sold as imperfect stock due to a slight heat discolouration on the petal edges). See other listings for different colour stories in this same flower. Price is per pair. 1 colour per pair. $3 Postage/handling is added at checkout, sent regular post. FREE tracking for orders over $50.